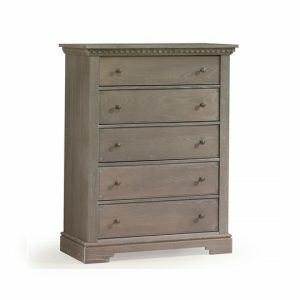 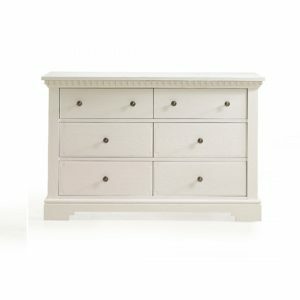 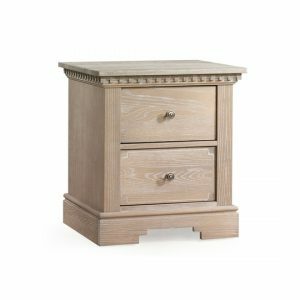 Inspired by Mediterranean architecture and epic poems, our oak Ithaca Collection incorporates contemporary lines, top dentil reliefs, etched drawer fascia, notched kick plates and antique knobs. 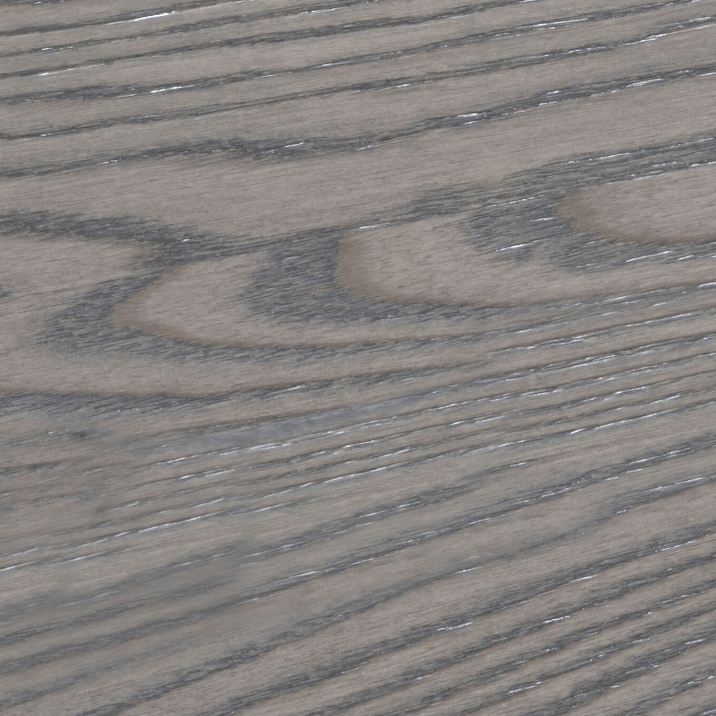 Ithaca showcases our new brushed finish technique, which was inspired by the serene snow covered Canadian landscape. 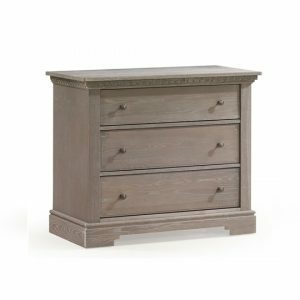 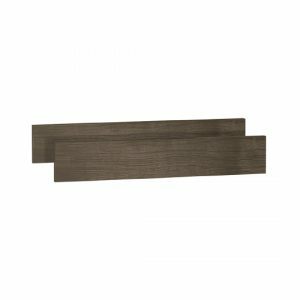 The brushed finishing process opens up the pores of the oak wood allowing us to deposit a white patina in its grooves, imparting a mild weathered look. 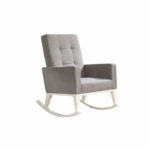 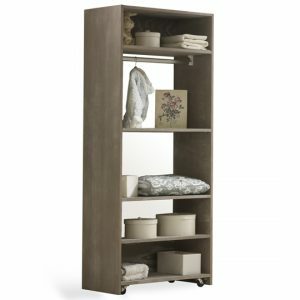 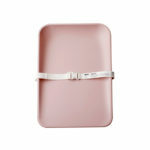 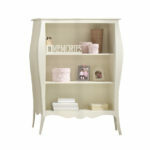 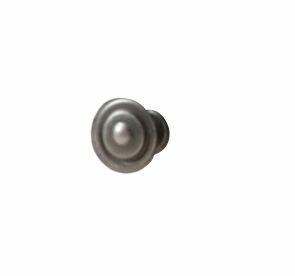 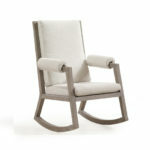 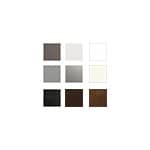 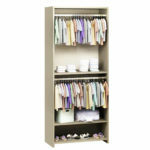 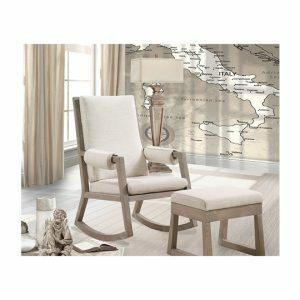 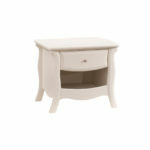 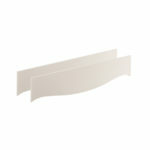 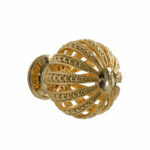 It is offered in five rustic finishes – grigio, owl, mink, sugar cane, as well as our classic white. 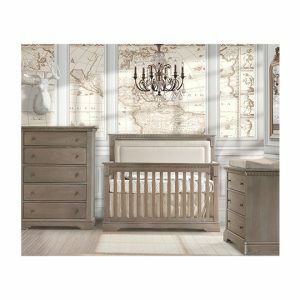 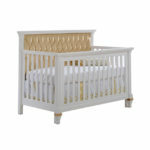 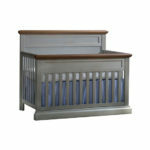 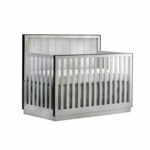 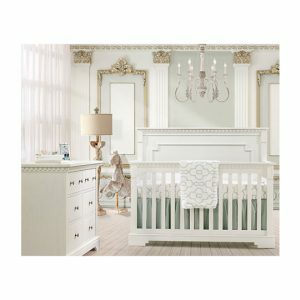 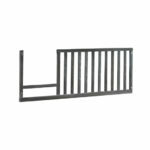 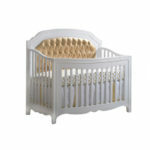 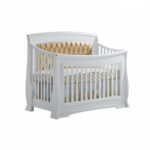 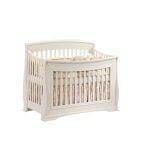 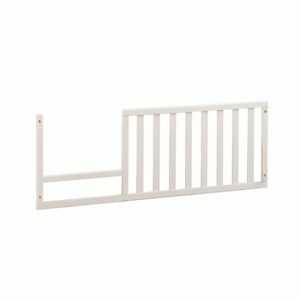 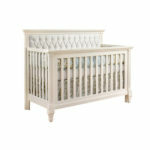 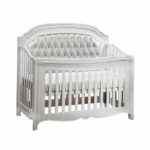 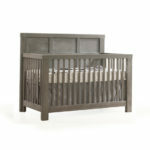 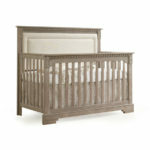 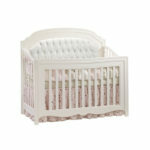 The Ithaca “5-in-1” Convertible Crib is highlighted by ornate top moldings showcasing a dentil relief and detailed routing, an elegantly framed back panel, and an open notched kick plate. 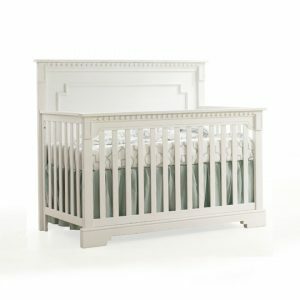 It offers long-term value with five configurations: crib, toddler bed, daybed, double bed headboard and complete double bed. 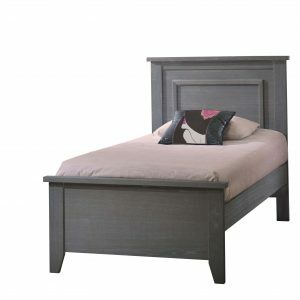 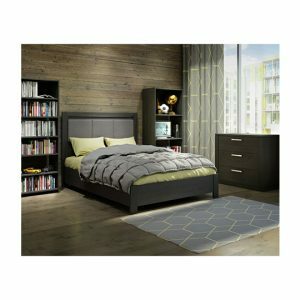 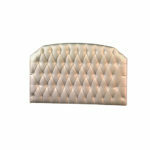 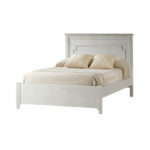 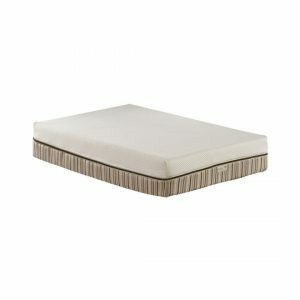 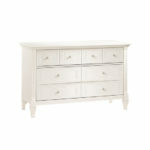 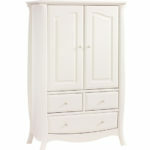 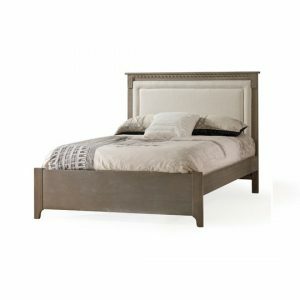 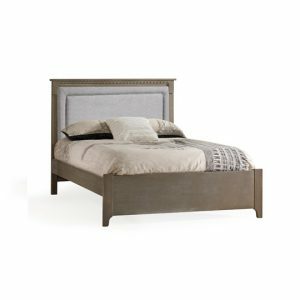 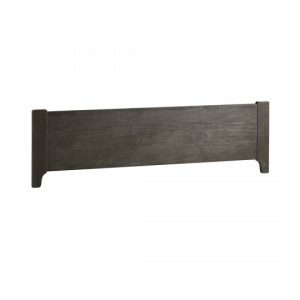 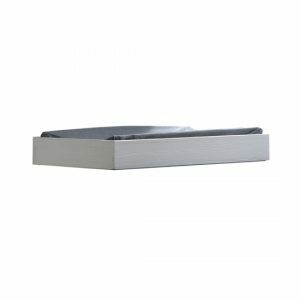 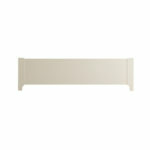 For a softer look you can chose the Ithaca “5-in-1” Convertible with Upholstered Headboard Panel. 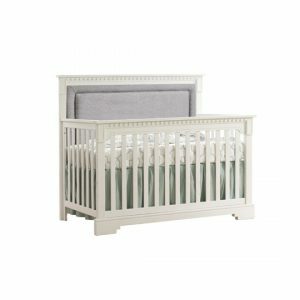 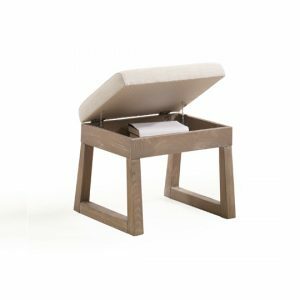 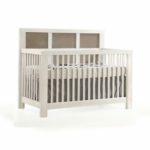 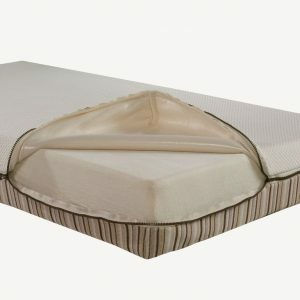 This crib features a blind-tufted elegant panel that is available in our sturdy 100,000 double rub tested fabric of either fog or talc linen weave.